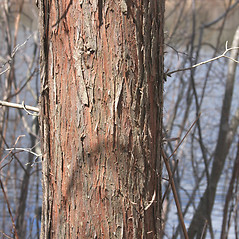 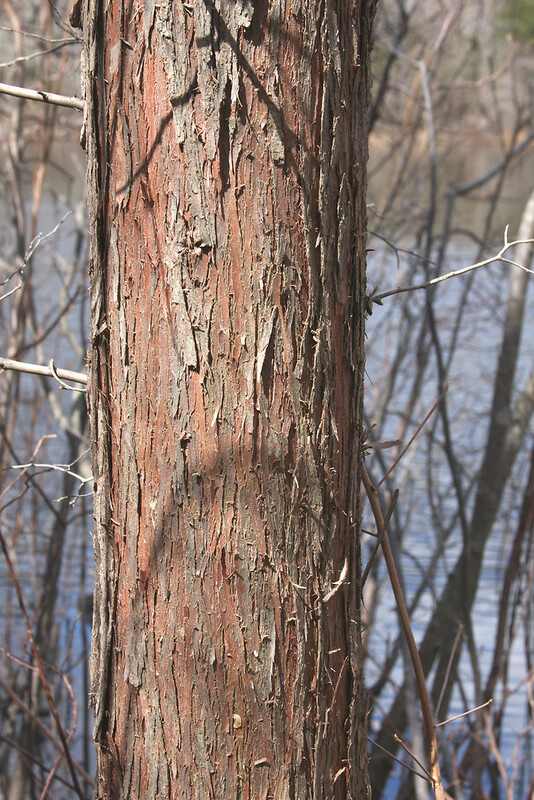 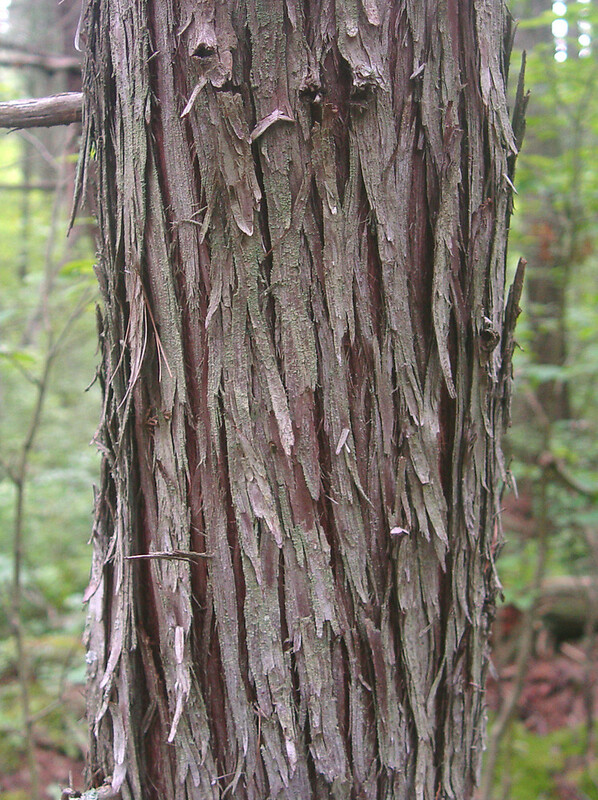 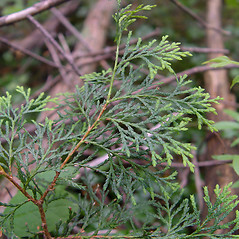 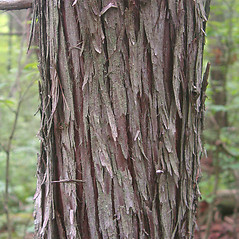 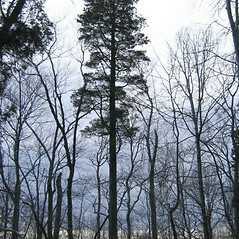 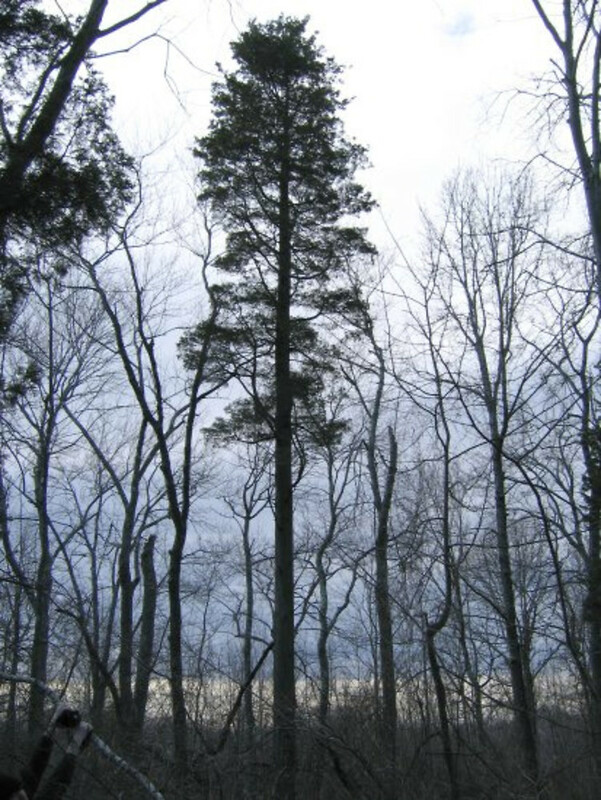 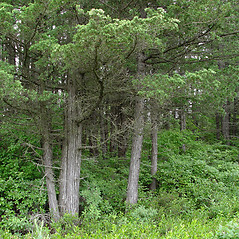 Atlantic white cedar, with its fissured, fibrous bark, thick trunk, and broad base, once dominated virtually impassable swamp forests of the coastal plain. 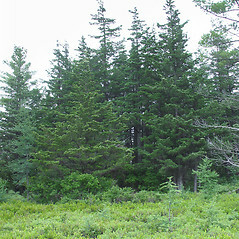 As those swamps have been drained, converted to cranberry production, and mined for bog ore, these large stands have waned. 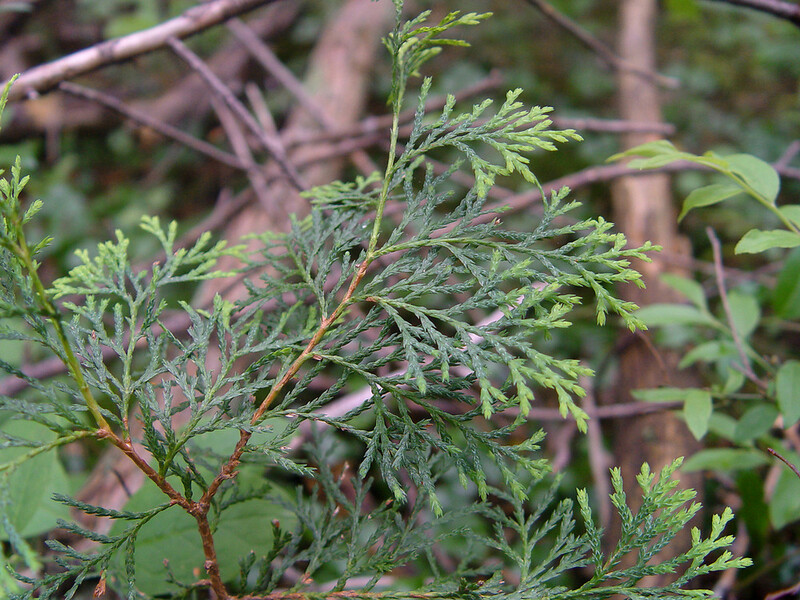 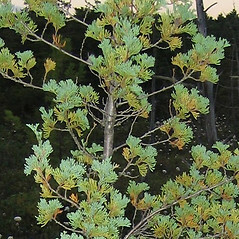 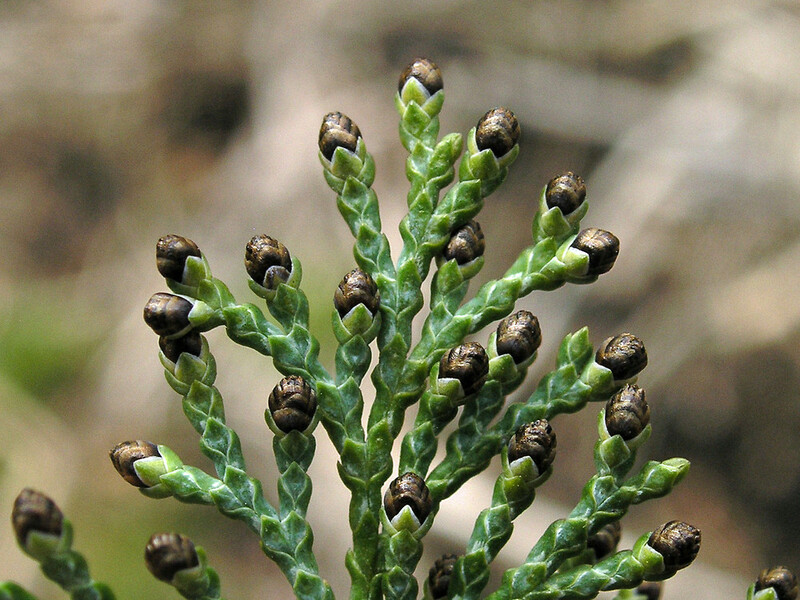 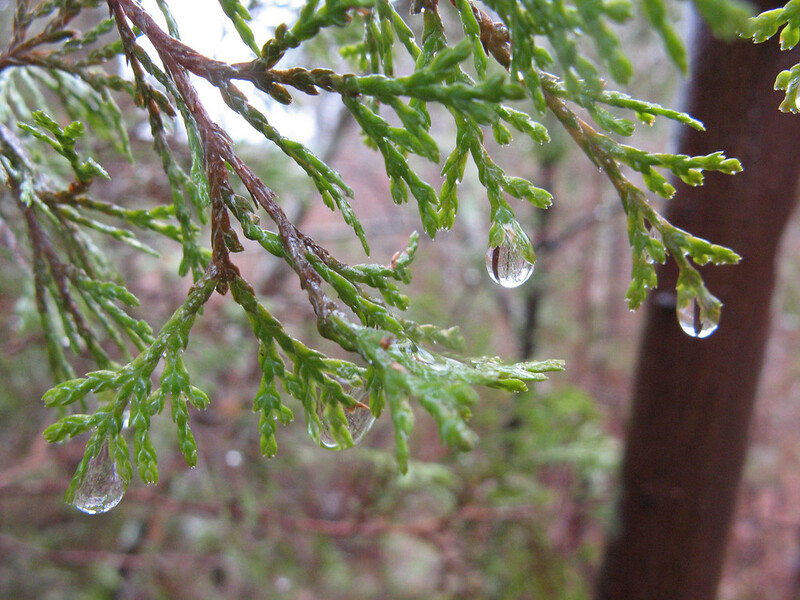 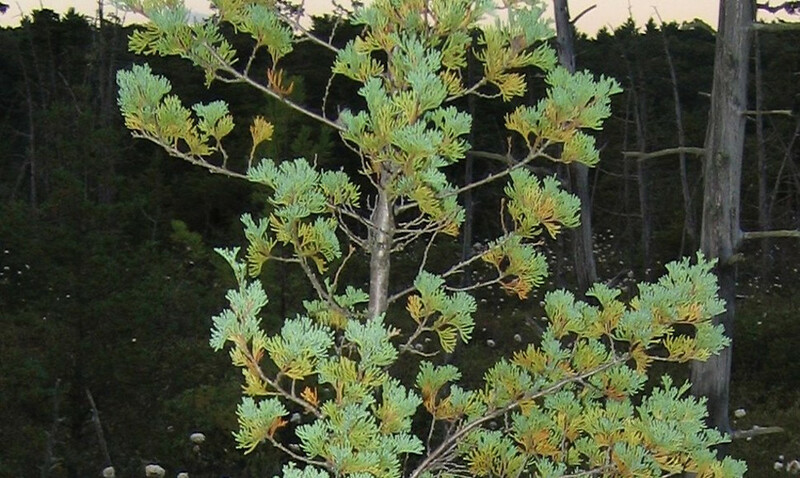 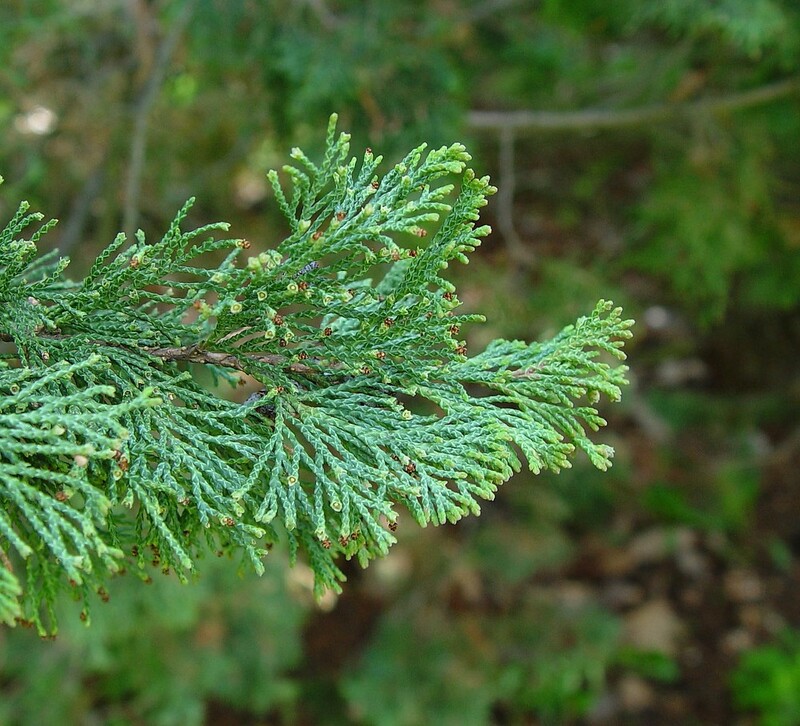 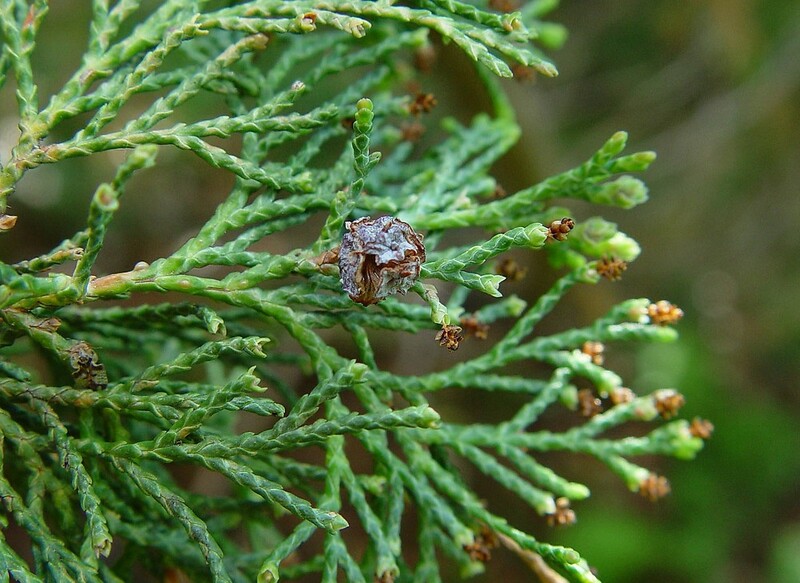 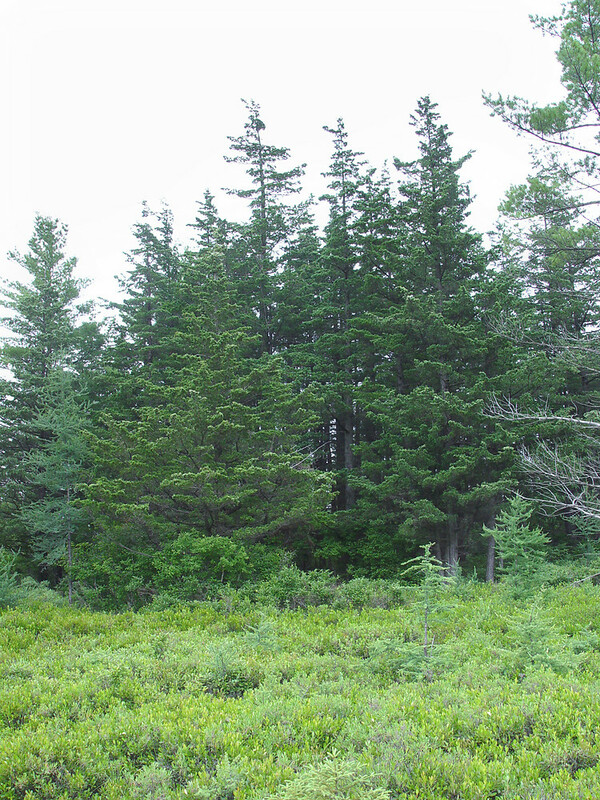 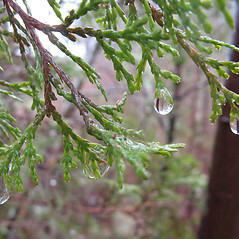 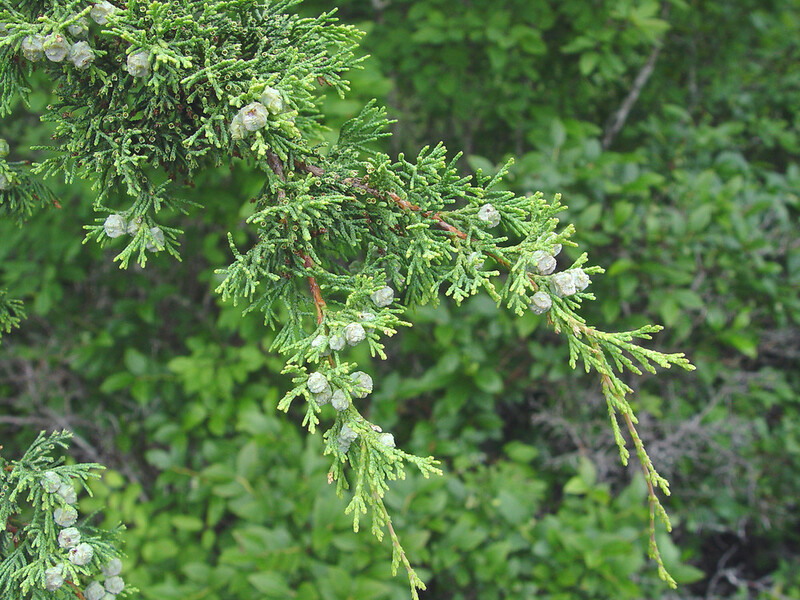 Despite the fact that it mainly inhabits wet peatlands, Atlantic white cedar benefits from periodic fires, which promote seed germination and establishment. 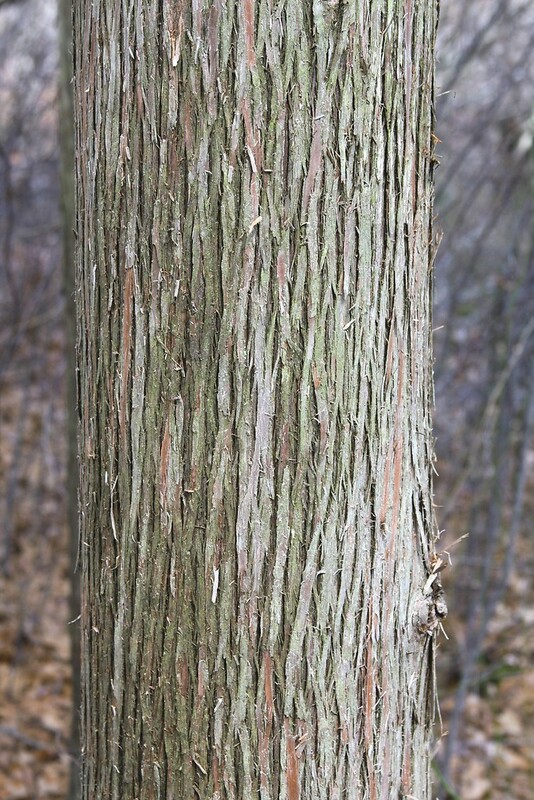 The light, water- and rot-resistant wood, that weathers to a silvery-brown hue, has been commonly used for shingles as well as posts, telephone poles, barrels, and other structures that need to withstand weather without the protection of paint. 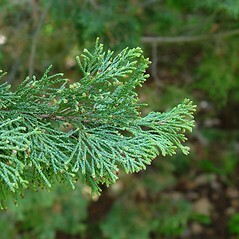 Miniature cultivars, bearing little resemblance to this majestic tree, are widely sold for planting. 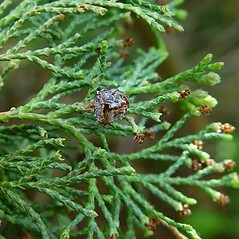 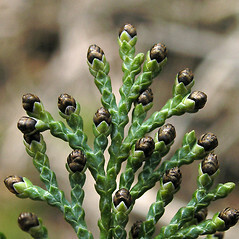 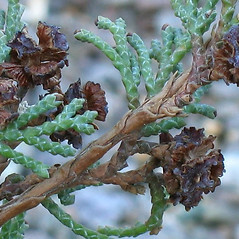 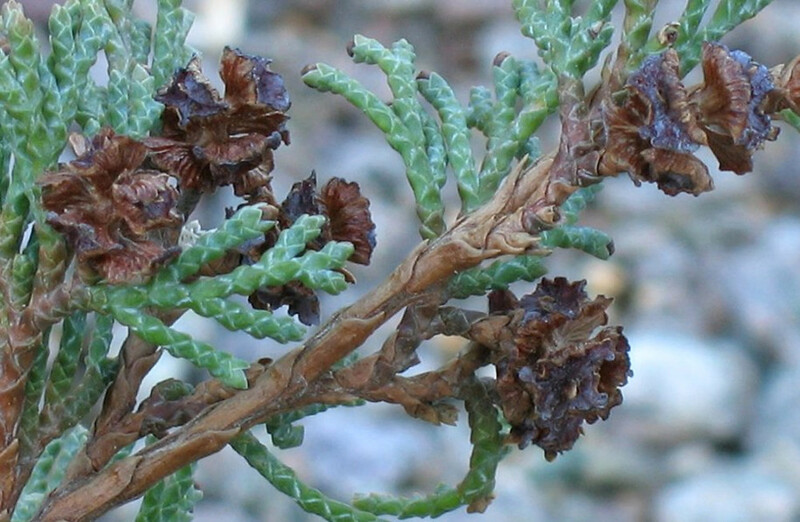 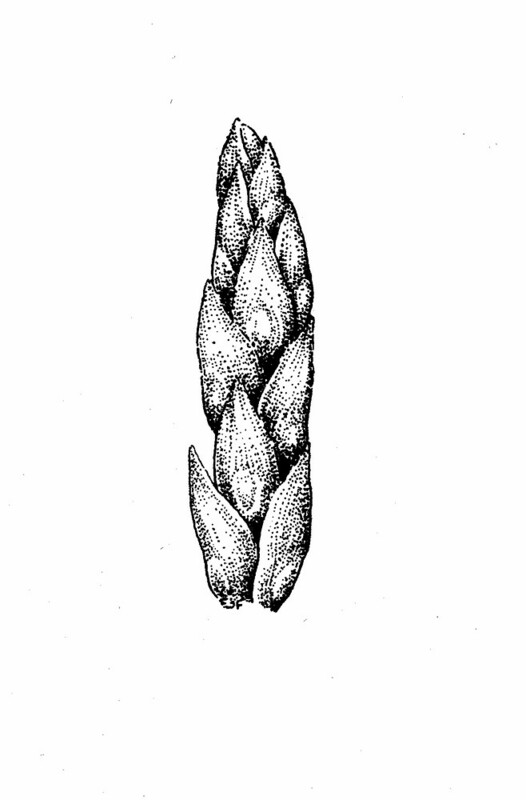 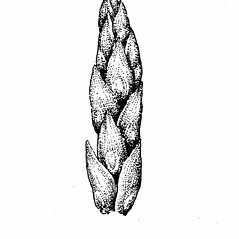 seed cone resembling a blue berry and outer surface of leaf with an elongate gland (vs. C. thyoides, with seed cone spherical, with dry scales and outer surface of leaf with a circular gland). 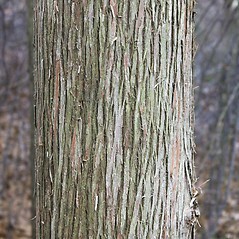 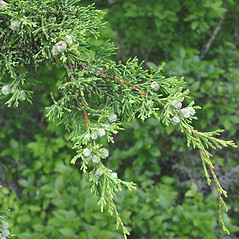 Atlantic white cedar. 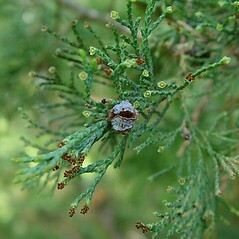 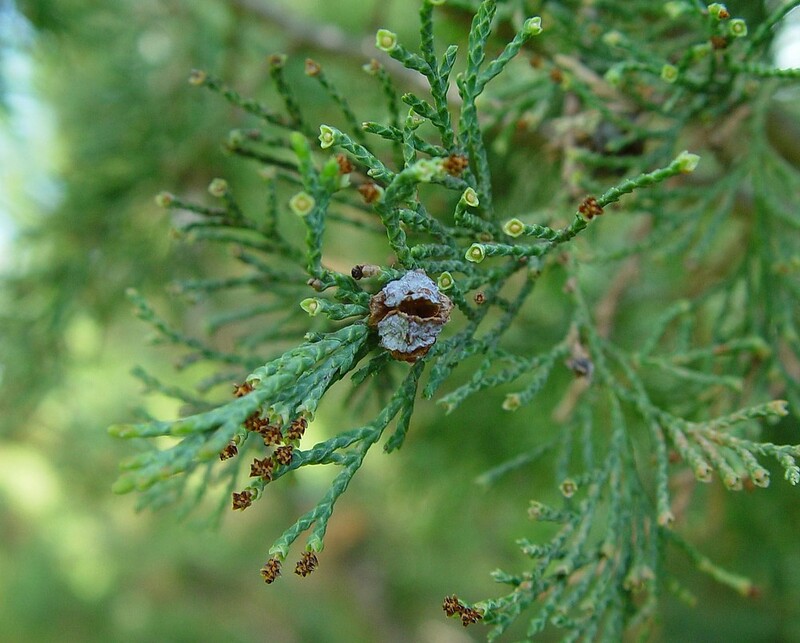 Cupressus thyoides L. • CT, MA, ME, NH, RI. 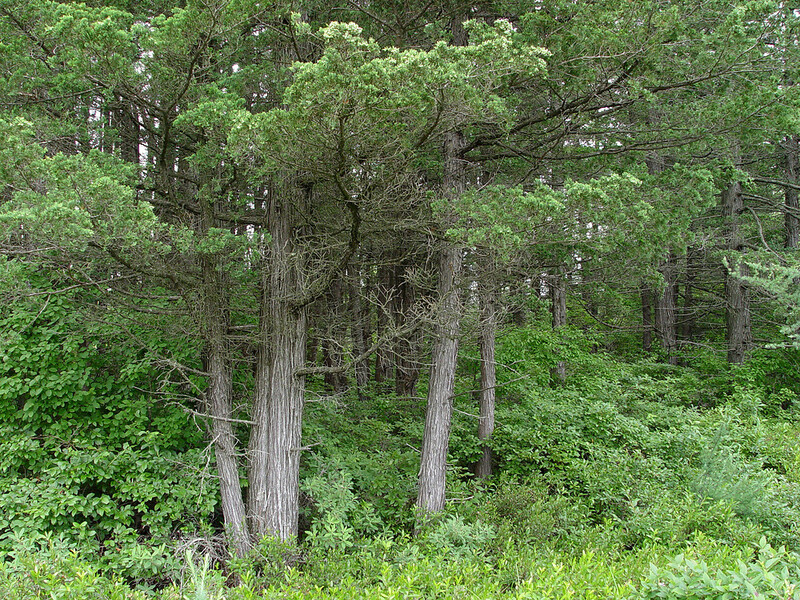 Acidic swamps and bogs of the Atlantic coastal plain.